For questions or to report suspected counterfeit Canon products, please contact your nearest Canon authorised representative. 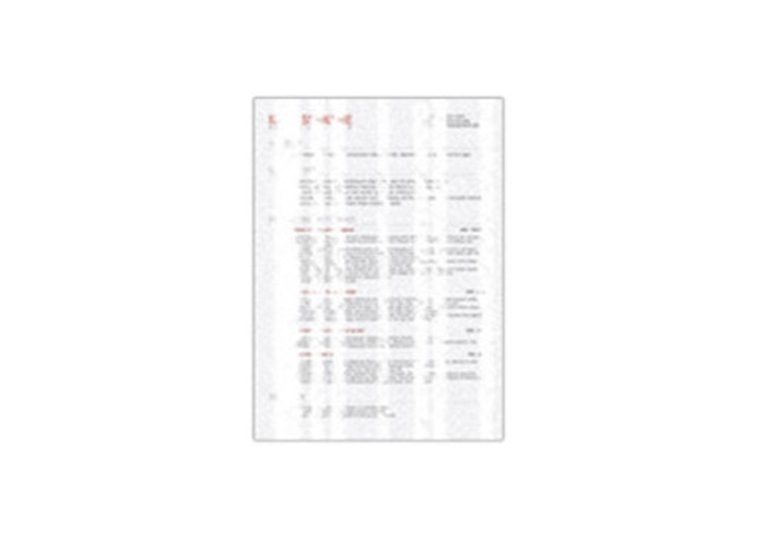 The Canon name and logo is officially registered as trademarks in various countries around to allow formal surveillance of suspected counterfeited products. 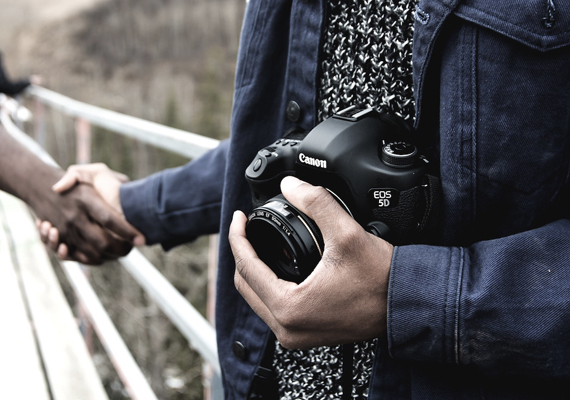 Canon implements certain security measures in products to help customers identify genuine Canon products. 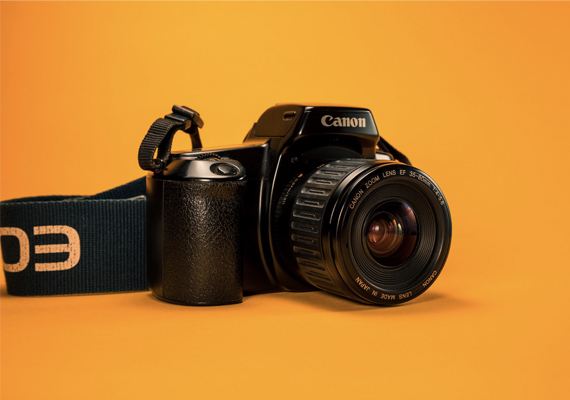 Canon cooperates with various online platforms, authorities and international organizations on the enforcement of intellectual property rights and education on how to identify counterfeit Canon products. 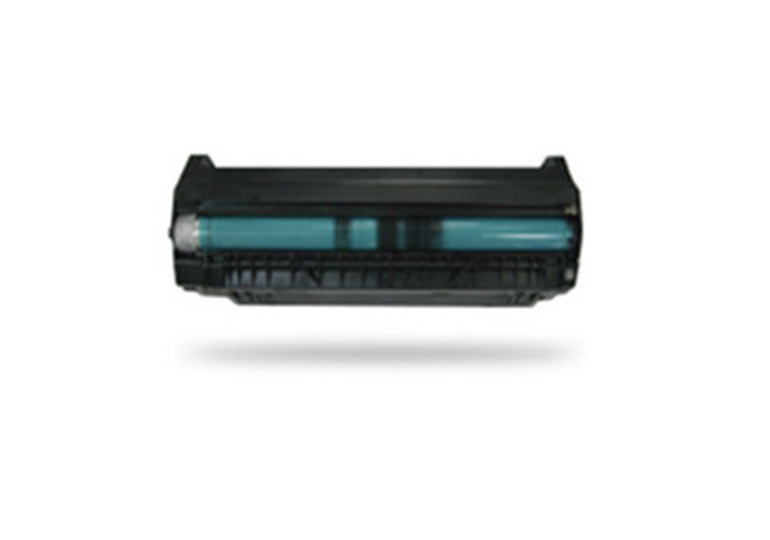 Counterfeit Canon inkjet cartridges, ink tanks, toner and toner cartridges can create a risk of, among other things, poor equipment performance, including low toner/ink yield, inferior print quality and toner / ink leakage. Click here for more information. 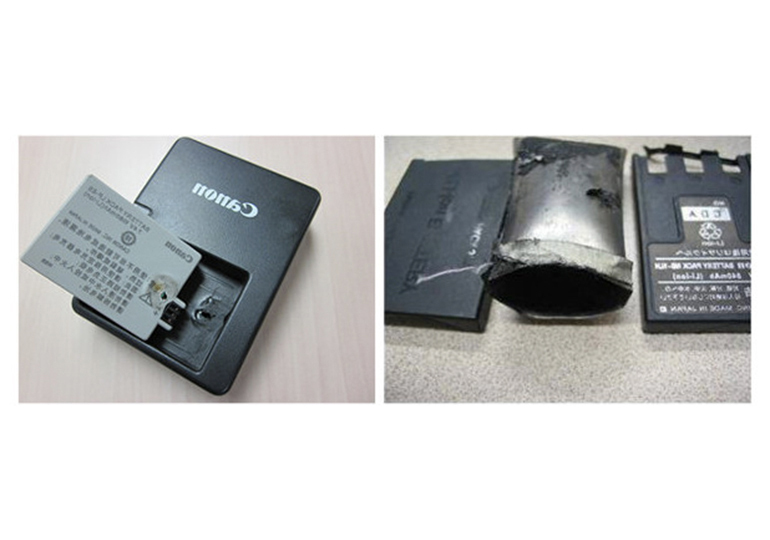 Counterfeit Canon batteries and chargers are often not equipped with certain protective devices meeting Canon's and the electronic industry's basic quality standards, causing product malfunctions, or leading such batteries to overheat, leak liquids, ignite and / or explode. Genuine Canon supplies and accessories are manufactured under strict quality standards to ensure that consumers enjoy the full potential of their Canon products. • The packaging has been resealed, reused or tampered with in any way. 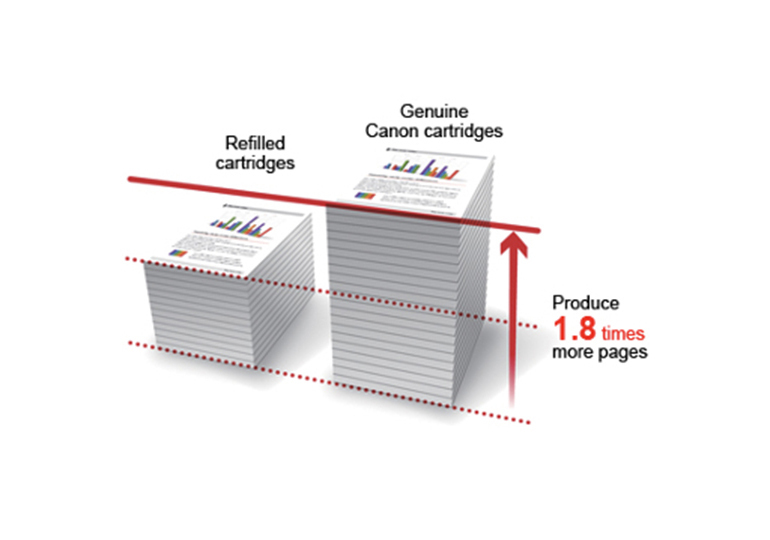 • The colour and materials used in the packaging differ from the genuine Canon packaging. 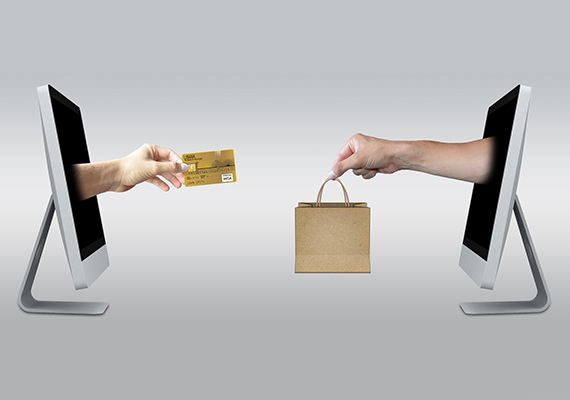 • The manner in which the products are sold can differ from the manner of normal business and consumer transactions. 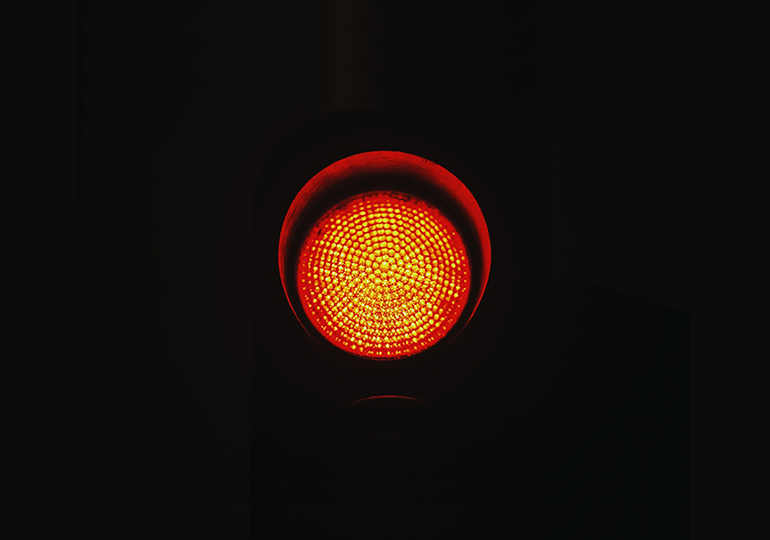 Do note however that the above indicators are not conclusive as counterfeit products may be sold in various ways and forms. 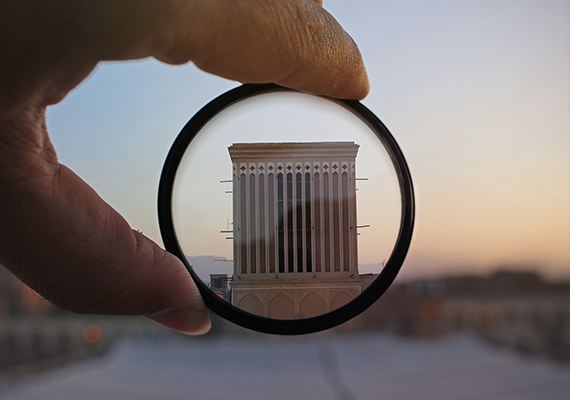 If in doubt, please contact your nearest Canon authorised representative. 3 units of counterfeit Canon toner cartridge, 34 units of counterfeit Canon toner, 30 units of counterfeit box packaging for Canon toner cartridge and 155 units of counterfeit hologram were seized by the police. 13 units of counterfeit Canon toner were seized by the police. 3 units of counterfeit Canon toner cartridge, 289 units of counterfeit Canon packaging box for toner cartridge were seized by the police during a raid action. 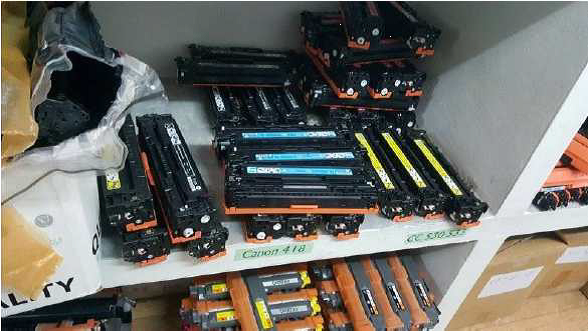 10 units of counterfeit Canon toner were seized by the police during a raid action. 21 units of counterfeit Canon toner cartridge, 150 units of counterfeit Canon packaging box for toner cartridge, 485 units of counterfeit Canon holograms, stickers and manuals were seized by the police during a raid action. 21 units of counterfeit Canon toner cartridge, 10 units of empty toner cartridge, 95 units of counterfeit Canon packaging box for toner cartridge, 100 units of counterfeit Canon holograms, stickers and manuals were seized by the police during a raid action. 24 units of counterfeit Canon toner cartridge, 62 units of counterfeit Canon packaging box for toner cartridge and 20 units of counterfeit labels were seized by the police during a raid action. 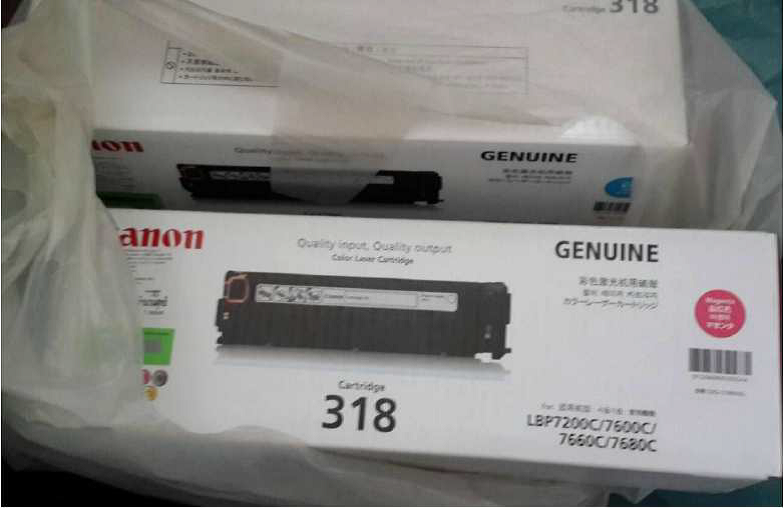 33 units of counterfeit Canon toner cartridge, 55 units of counterfeit Canon packaging box for toner cartridge and 530 units of counterfeit holograms and stickers were seized by the police during a raid action. 39 units of counterfeit Canon toner cartridge and 26 units of counterfeit Canon toner cartridge box packaging were seized by the police during a raid action. 52 units of counterfeit Canon toner cartridge, 1,144 units of counterfeit Canon toner cartridge box packaging and 335 units of counterfeit MRP Stickers were seized by the police during a raid action. 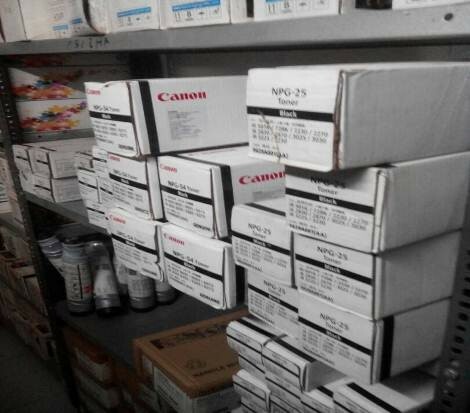 71 units of counterfeit Canon toner were seized by the police during a raid action. 89 units of counterfeit Canon toner cartridge, 1 unit of counterfeit Canon toner, 700 units of counterfeit packaging box for Canon toner cartridge and 200 units of counterfeit product label for Canon toner cartridge were seized by the police. 35 units of counterfeit Canon toner cartridge, 50 units of empty toner cartridge, 1,245 units of counterfeit packaging box for Canon toner cartridge and 1,100 units of counterfeit product label for Canon toner cartridge were seized by the police. 51 units of counterfeit Canon toner cartridge and 10 units of counterfeit packaging box for Canon toner cartridge were seized by the police. 35 units of counterfeit Canon toner cartridge, 282 units of counterfeit packaging box and 295 units of counterfeit label/hologram were seized by the police. 95 units of counterfeit Canon toner cartridge, 15 units of counterfeit Canon ink cartridge and 388 units of counterfeit box packaging for Canon toner cartridge were seized by the police. 50 units of counterfeit Canon toner cartridge, 32 units of counterfeit Canon toner, 112 units of counterfeit box packaging for Canon toner cartridge, 229 units of counterfeit label sticker and hologram and 404 units of plastic cover for Canon toner cartridge were seized by the police. 30 units of counterfeit Canon toner cartridge, 120 units of empty Canon toner cartridge, 145 units of counterfeit Canon toner cartridge box packaging and 1,179 units of counterfeit Canon product label were seized by the police during a raid action. 48 units of counterfeit Canon toner cartridge, 7 units of counterfeit Canon toner, 15 units of empty Canon toner cartridge, 214 units of counterfeit Canon toner cartridge box packaging, 4 units of counterfeit Canon toner packaging, 2,445 units of counterfeit Canon product label were seized by the police. 45 units of counterfeit Canon toner cartridge and 275 units of counterfeit Canon toner cartridge box packaging, 130 pieces of counterfeit Canon hologram sticker and 4,910 units of counterfeit Canon product label were seized by the police during a raid action. 20 units of counterfeit Canon toner cartridge, 315 units of counterfeit Canon toner cartridge box packaging, 260 units of empty Canon toner cartridge and 21 units of counterfeit Canon ink cartridge box packaging were seized by the police during a raid action. 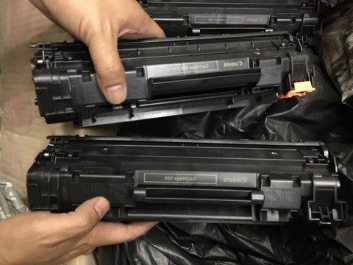 47 units of counterfeit Canon toner cartridge were seized by the police during a raid action. 13 units of counterfeit Canon battery, 1 unit of counterfeit Canon battery charger and 1 unit of counterfeit Canon remote controller were seized by the police during a raid action. 2,025 units of counterfeit Canon ink cartridge box packaging were seized by the police during a raid action. 18 units of counterfeit Canon ink cartridge were seized by the police during a raid action. 13 units of counterfeit Canon toner cartridge, 80 units of counterfeit Canon toner cartridge box packaging, 65 units of refilled Canon toner cartridge, 30 pieces of counterfeit Canon hologram sticker and 320 units of counterfeit Canon product label were seized by the police during a raid action. 62 units of counterfeit Canon toner cartridge were seized by the police during a raid action. 2 units of counterfeit Canon toner cartridge, 50 units of counterfeit Canon toner cartridge box packaging, 25 units of empty Canon toner cartridge and 75 units of counterfeit Canon product label were seized by the police during a raid action. 18 units of counterfeit Canon toner cartridge, 34 units of refilled Canon toner cartridge, 184 units of counterfeit Canon toner cartridge box packaging, 3,168 pieces of counterfeit Canon hologram sticker and 223 units of counterfeit Canon product label were seized by the police during a raid action. 36 units of counterfeit Canon toner cartridge and 5 units of counterfeit Canon toner were seized by the police during a raid action. 3,600 units of counterfeit Canon ink cartridge box packaging and 4 units of Canon Printing Dyes were seized by the police during a raid action. 29 units of counterfeit Canon toner cartridge, 18 units of counterfeit Canon toner, 144 units of counterfeit Canon packaging box material and 3,742 units of counterfeit Canon product label were seized by the police during a raid action. 7 units of counterfeit Canon battery and 4 units of counterfeit Canon battery charger were seized by the police during a market sweep action. 148 units of counterfeit Canon toner cartridge were seized by the police during a raid action. 625 units of counterfeit Canon toner cartridge box packaging, 15 units of refilled Canon toner cartridge, 480 units of counterfeit Canon product label and 12,960 pieces of counterfeit Canon hologram sticker were seized by the police during a raid action. 21 units of counterfeit Canon toner cartridge and 12 units of counterfeit Canon toner were seized by the police during a raid action. 23 units of counterfeit Canon toner cartridge, 20 units of counterfeit Canon toner cartridge box packaging, 1,900 units of counterfeit Canon product label and 26 pieces of counterfeit Canon hologram stickers were seized by the police during a raid action. 53 units of counterfeit Canon battery were seized by the police during a market sweep action. 2,210 units of counterfeit Canon ink cartridge box packaging were seized by the police during a raid action. 24 units of counterfeit Canon toner cartridge, 121 units of counterfeit Canon toner cartridge box packaging, 410 pieces of counterfeit Canon hologram sticker and 1,016 units of counterfeit Canon product label were seized by the police during a raid action. 70 units of counterfeit Canon toner cartridge, 33 units of counterfeit Canon ink cartridge, 402 units of counterfeit Canon toner cartridge box packaging and 480 units of counterfeit Canon product label were seized by the police during a raid action. 29 units of counterfeit Canon battery, 1 unit of counterfeit Canon battery charger, 1 unit of counterfeit Canon battery grip, 50 units of counterfeit Canon lens cap and 7 units of counterfeit Canon camera bag were seized by the police during a market sweep action. 76 units of counterfeit Canon toner, 126 units of counterfeit Canon toner box packaging and 367 units of counterfeit Canon toner cartridge box packaging were seized by the police during a raid action. 75 units of counterfeit Canon refilled toner cartridge, 85 units of counterfeit Canon toner cartridge box packaging and 419 units of counterfeit Canon product label were seized by the police during a raid action. 42 units of counterfeit Canon toner cartridge, 13 units of counterfeit Canon toner, 30 units of counterfeit Canon toner cartridge box packaging, 200 pieces of counterfeit Canon hologram sticker, 275 units of counterfeit Canon product label and 42 units of counterfeit Canon user guide were seized by the police during a raid action. 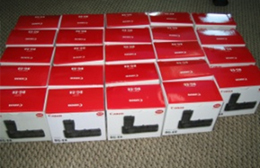 22 units of counterfeit Canon ink cartridge were seized by the police during a raid action. 184 units of counterfeit Canon toner cartridge, 195 units of counterfeit Canon toner cartridge box packaging, 370 units of counterfeit Canon product label and 610 units of counterfeit Canon trustgram were seized by the police during a raid action. 154 units of counterfeit Canon battery and 70 units of counterfeit Canon battery charger were seized by the police during a market sweep action. 184 units of counterfeit Canon toner cartridges and 45 units of counterfeit Canon toner cartridges were seized by the police during respective raid actions. 3,595 units of counterfeit Canon ink cartridge packaging box were seized by the police during a raid action. 31 units of counterfeit Canon battery for digital cameras, 32 units of counterfeit Canon battery charger and 4 units of counterfeit Canon lens hood were seized by the police during a raid action. 586 units of counterfeit Canon toner cartridge, 200 units of counterfeit Canon ink cartridge, 13,789 units of empty toner cartridge, 1,606 units of counterfeit packaging box for Canon toner cartridge, 3,100 units of counterfeit packaging box for Canon ink cartridge and 1,250 units of counterfeit hologram/label were seized by the enforcement authority. 703 units of refilled Canon toner cartridge, 4228 units of empty toner cartridge, 40kg of toner powder and 6 toner cartridge refilling machines were seized by the enforcement authority during a raid action. 8 units of counterfeit Canon toner cartridge, 66 units of refilled Canon toner cartridge, 912 units of empty toner cartridge, 32 units of counterfeit Canon ink cartridge, 828 units of refilled Canon ink cartridge, over 1,000 units of counterfeit Canon hologram and label, and 4 bags of toner powder were seized by enforcement authority during a raid action. 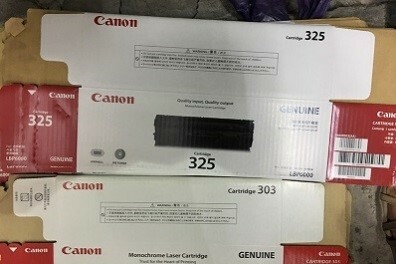 31 units of counterfeit Canon toner cartridge, 220 units of refilled Canon toner cartridge, 1,900 units of empty toner cartridges, 350 units of counterfeit Canon toner cartridge box packaging and 204 units of counterfeit Canon holograms were seized by the enforcement authority during a raid action. 33 units of counterfeit Canon toner cartridge, 449 units of empty toner cartridge, 33 units of recycled packaging box for Canon toner cartridge and 30 units of counterfeit label were seized by the enforcement authority. 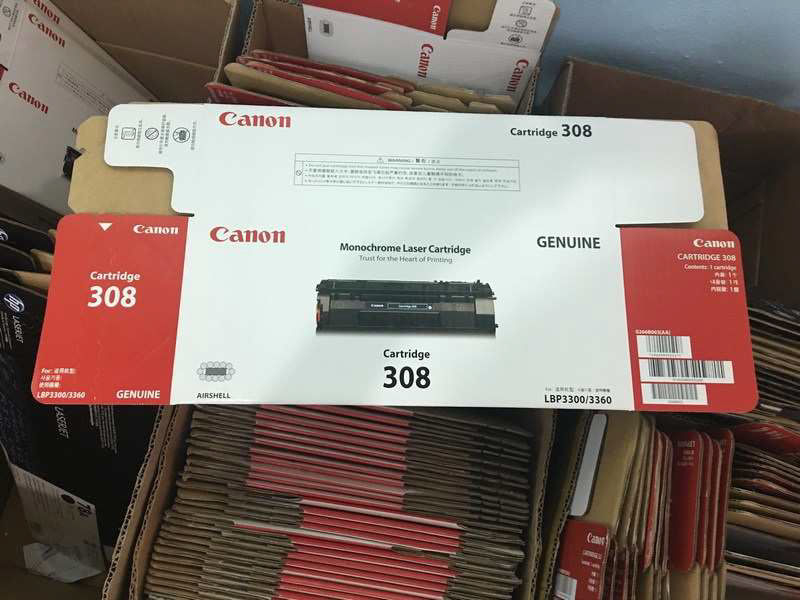 4 units of counterfeit Canon ink cartridge box packaging, 600 units of empty Canon ink cartridge, 8,346 units of empty Canon toner cartridge and 581 pieces of counterfeit Canon hologram sticker were seized by enforcement authority during a raid action. 199 units of counterfeit unfinished Canon toner cartridge, 300 units of counterfeit unfinished Canon ink cartridge and over 1,000 units of counterfeit Canon product label were seized by the enforcement authority during a raid action. 117 units of counterfeit Canon toner cartridge and 1,882 units of empty Canon toner cartridge were seized by the Ministry of Domestic Trade and Consumer Affairs during a raid action. 100 units of counterfeit Canon toner cartridge, 1,052 units of empty Canon toner cartridge, 26 units of counterfeit Canon ink cartridge, 198 units of counterfeit Canon toner cartridge box packaging and 849 units of counterfeit Canon hologram sticker and product label were seized by the Ministry of Domestic Trade and Consumer Affairs and the police during a raid action. 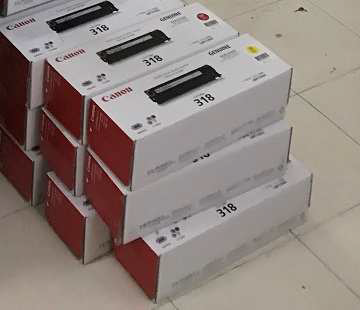 39 units of counterfeit Canon toner cartridge, 2,455 units of empty Canon toner cartridge and 68 units of recycled Canon box packaging were seized by the Ministry of Domestic Trade and Consumer Affairs and the police during a raid action. 741 units of counterfeit Canon toner cartridge, 119 units of counterfeit Canon ink cartridge and 20 units of counterfeit Canon toner cartridge box packaging were seized by the Ministry of Domestic Trade and Consumer Affairs during a raid action. 229 units of counterfeit Canon toner cartridge, 1,634 units of empty Canon toner cartridge, 150 pieces of counterfeit Canon hologram stickers, 3,500 units of counterfeit Canon product label and 1,250 units of counterfeit Canon toner cartridge box packaging were seized by the Ministry of Domestic Trade and Consumer Affairs during a raid action. 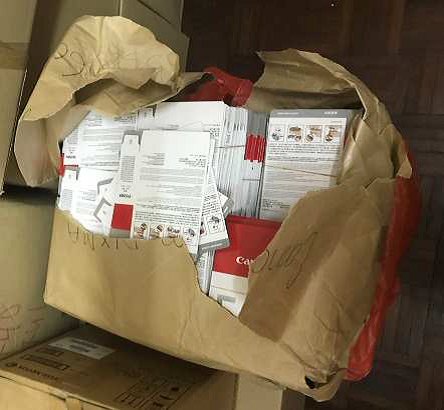 130 units of counterfeit Canon ink cartridge and 15 units of counterfeit Canon product label were seized by the Ministry of Domestic Trade and Consumer Affairs during a raid action. 685 units of counterfeit Canon toner cartridge were seized by the Ministry of Domestic Trade and Consumer Affairs during a raid action. 148 units of counterfeit Canon toner cartridge and 586 units of empty Canon toner cartridge were seized by the Ministry of Domestic Trade during a raid action. 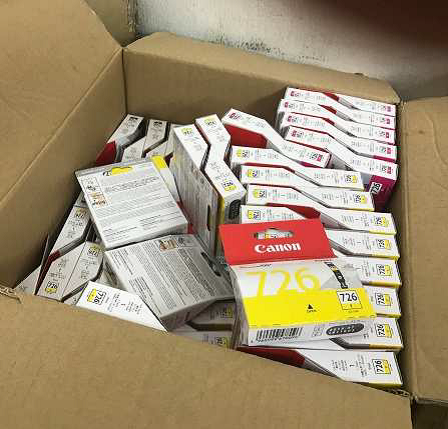 1,191 units of counterfeit Canon ink cartridge and 3,214 units of counterfeit Canon ink cartridge packaging box were seized by the Ministry of Domestic Trade during a raid action. 77 units of counterfeit Canon battery grip were seized by the Ministry of Domestic Trade during a raid action. 1,289 units of counterfeit Canon ink cartridge and 345 units of counterfeit Canon toner cartridge were seized by the police during a market sweep action. 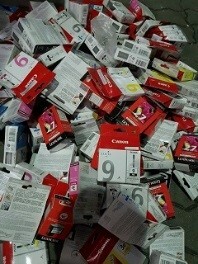 1,059 units of counterfeit Canon ink cartridge were seized by the police during a market sweep action. 171 units of counterfeit Canon toner cartridge were seized by the police during a market sweep action. 422 units of counterfeit Canon ink cartridge were seized by the police during a market sweep action. 222 units of counterfeit Canon toner cartridge were seized by the police during a market sweep action. 12 units of counterfeit Canon battery were seized by the police during a raid action. 4,439 units of counterfeit Canon toner cartridge, 7,541 units of counterfeit Canon ink cartridge, 2,573 units of counterfeit bubble bag, and 451 units of counterfeit security label were seized by the police. 29 units of counterfeit Canon toner cartridge, 102 units of refilled Canon toner cartridge, 82 units of counterfeit Canon toner cartridge box packaging, 554 units of empty Canon toner cartridge and 456 units of processing chips were seized by the police during a raid action. 24 units of counterfeit Canon toner cartridge, 24 units of counterfeit packaging box and 500 units of counterfeit airbag for Canon toner cartridge and 375 units of empty toner cartridge were seized by the police. 235 units of counterfeit Canon toner cartridge, 101 units of counterfeit Canon ink cartridge and 563 units of empty Canon toner cartridge were seized by the police during a raid action. 75 units of counterfeit Canon toner cartridge and 7 units of counterfeit Canon ink cartridge were seized by the police during a raid action. 110 units of counterfeit Canon battery grip were seized by the police during a raid action. 8 units of counterfeit Canon toner cartridge were seized by the police during a raid action. 117 units of counterfeit Canon battery for digital cameras, 2 units of counterfeit Canon battery charger and 6 units of counterfeit Canon battery grip were seized by the police during a raid action. 256 units of counterfeit Canon toner cartridge were seized by the police during a raid action. 94 units of counterfeit Canon battery, 73 units of counterfeit Canon battery charger, 24 units of counterfeit Canon lens cap and 4 units of counterfeit optical cleaning kit were seized by the enforcement authority. 59 units of counterfeit Canon toner cartridge, 4,113 units of counterfeit Canon toner cartridge box packaging, 1,384 units of empty Canon toner cartridge and 11 units of refilling machine were seized by the economic police during a raid action. 165 units of counterfeit Canon battery were seized by the Market Control Board during a market sweep action. 27 units of counterfeit Canon toner cartridge, 103 units of counterfeit Canon toner cartridge box packaging and 378 units of empty Canon toner cartridge were seized by the Market Control Board during a raid action. 118 units of counterfeit Canon battery and 52 units of counterfeit Canon battery charger were seized by the Market Control Board during a market sweep raid action. 40 units of counterfeit Canon toner cartridge, 62 units of empty Canon toner cartridge and 91 bottles of toner powder were seized by the Market Control Board during a raid. 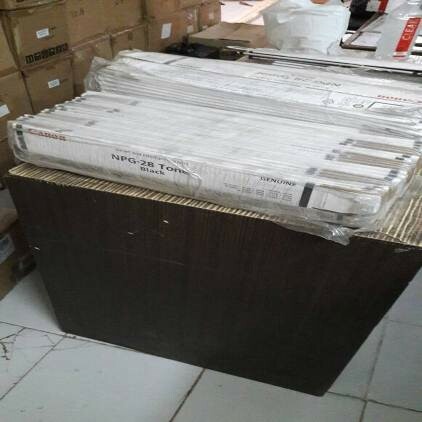 92 units of counterfeit Canon toner cartridge, 283 empty Canon toner cartridge, 283 units of counterfeit Canon toner cartridge packaging box and 690 pieces of counterfeit Canon label were seized by the Market Control Board. 90 units of counterfeit Canon battery, 89 units of counterfeit Canon lens cap and 16 units of counterfeit Canon camera case were seized by the police. 307 units of counterfeit Canon battery, 211 units of counterfeit Canon battery charger, 156 units of counterfeit Canon lens cap, 41 units of counterfeit Canon lens hood and 51 units of counterfeit Canon camera bag were seized by the police during a market sweep action. 72 units of counterfeit Canon battery were seized by the police during a market sweep raid action. 95 units of counterfeit Canon toner cartridge and 130 units of counterfeit Canon ink cartridge were seized by the police during a raid action. 104 units of counterfeit Canon toner cartridge were seized by the police during a market sweep raid action. 49 units of counterfeit Canon toner cartridge were seized by the police. 76 units of counterfeit Canon toner cartridge were seized by the police during a market sweep action.